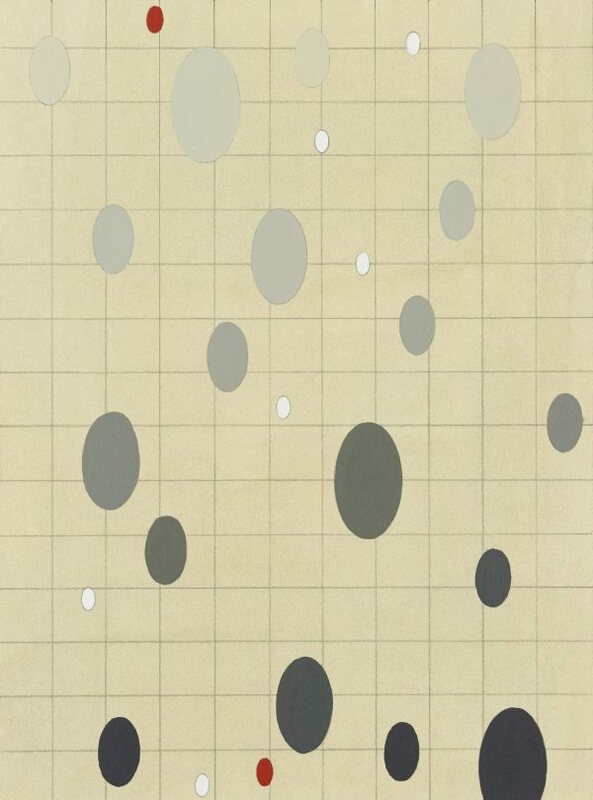 Andrew Christofides’ particular interests lie in early Renaissance painting and early European Abstraction and Modernism. 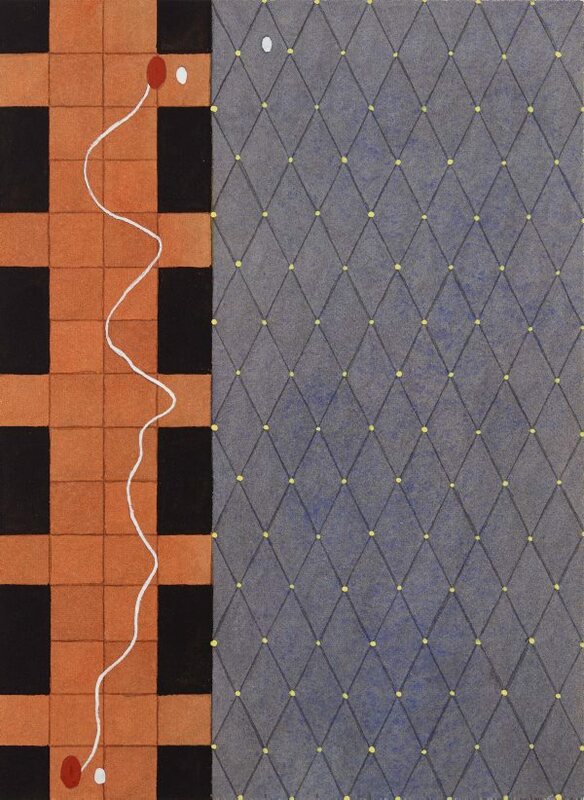 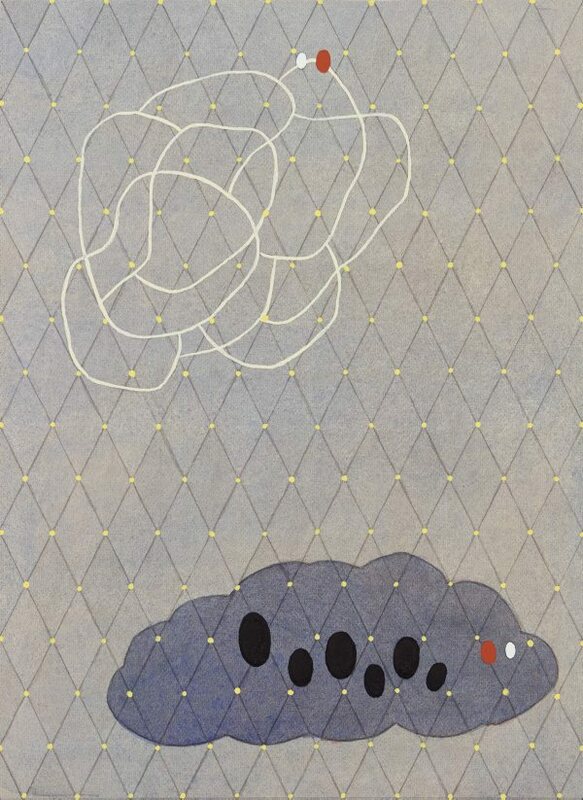 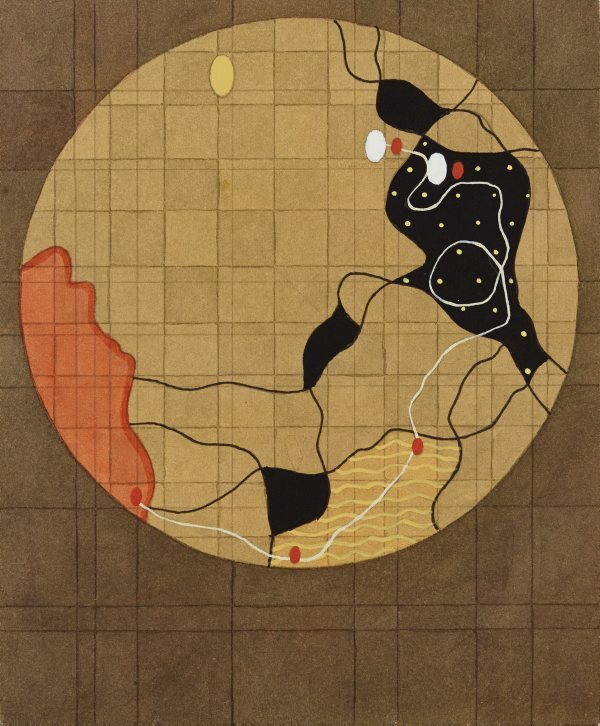 His initial exploration of geometric abstraction was prompted by its potential to provide a universal language, enabling the viewer to experience the work directly without external references or knowledge. 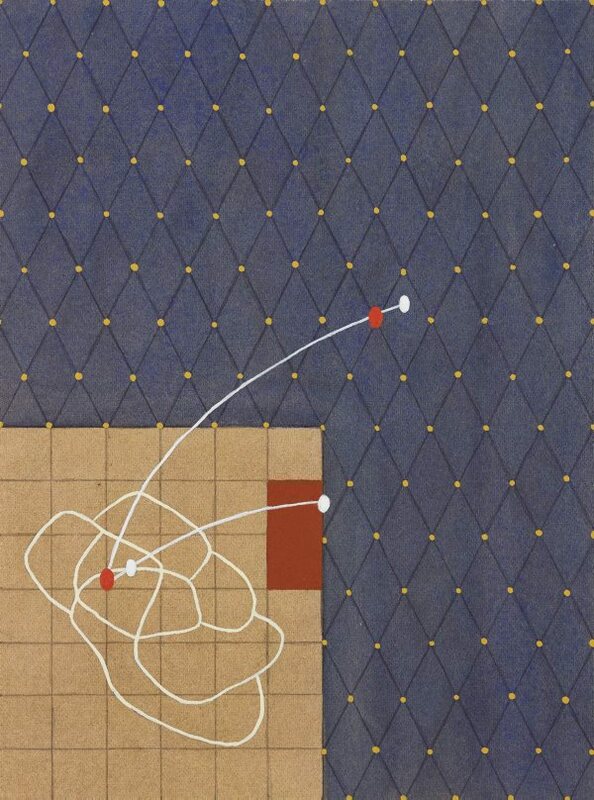 His subsequent difficulty in achieving neutrality of forms, has brought acceptance of the signifying role of even the most apparently abstract language - and a greater interest since the mid 1980s, in exploring surface quality to evoke gesture. 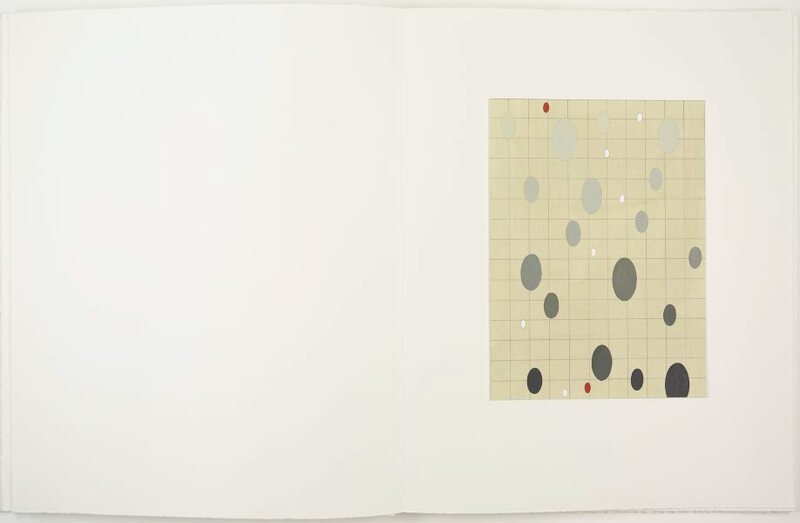 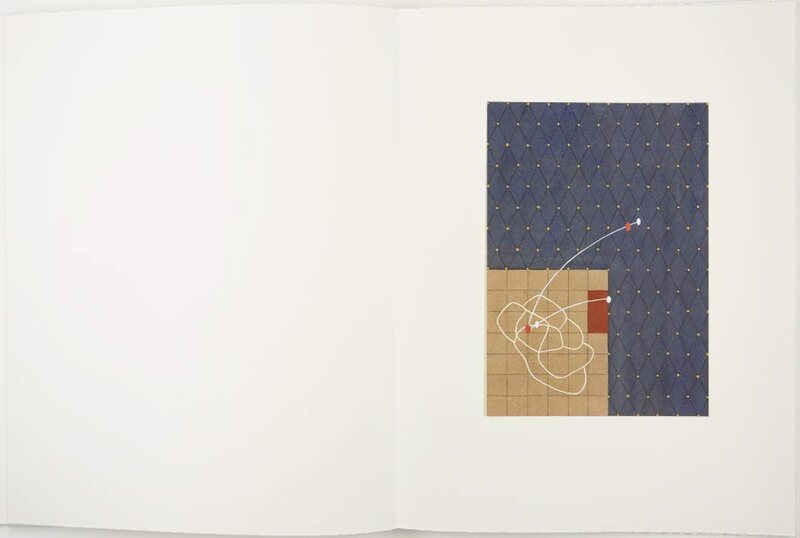 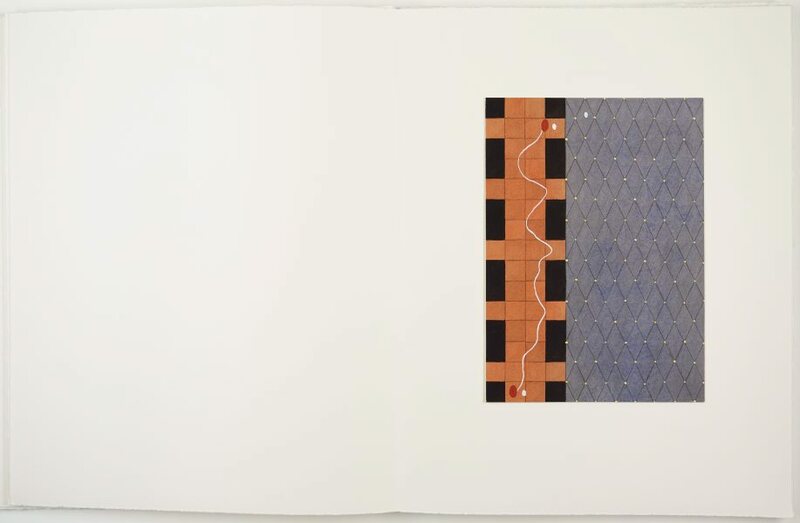 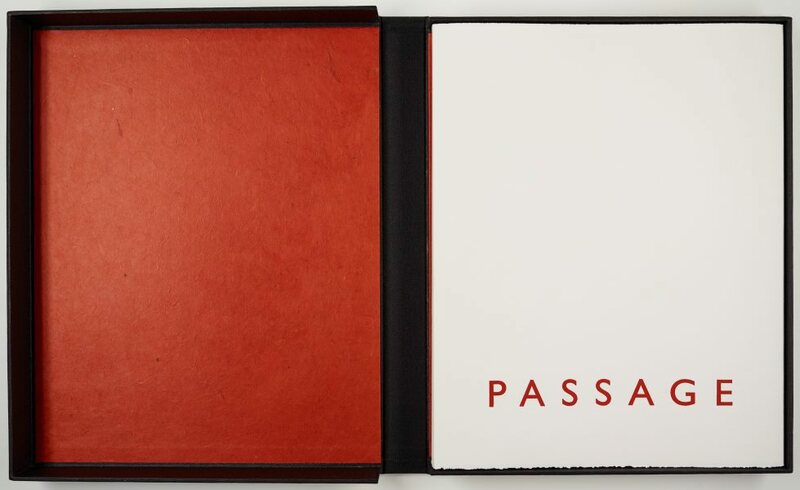 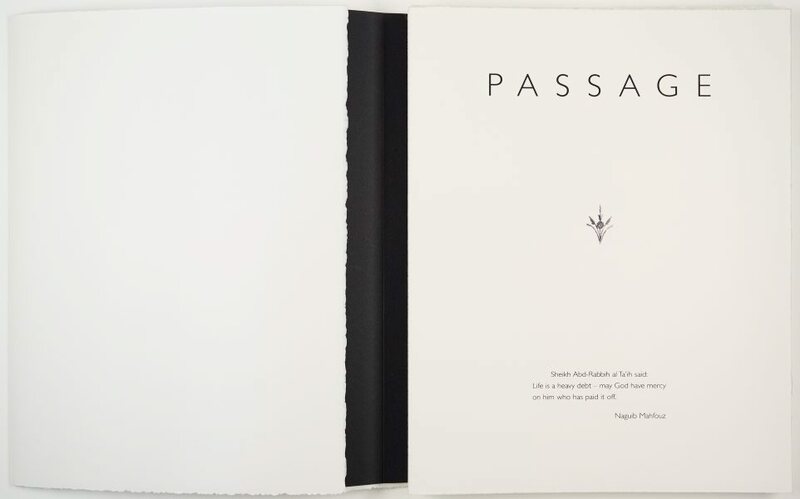 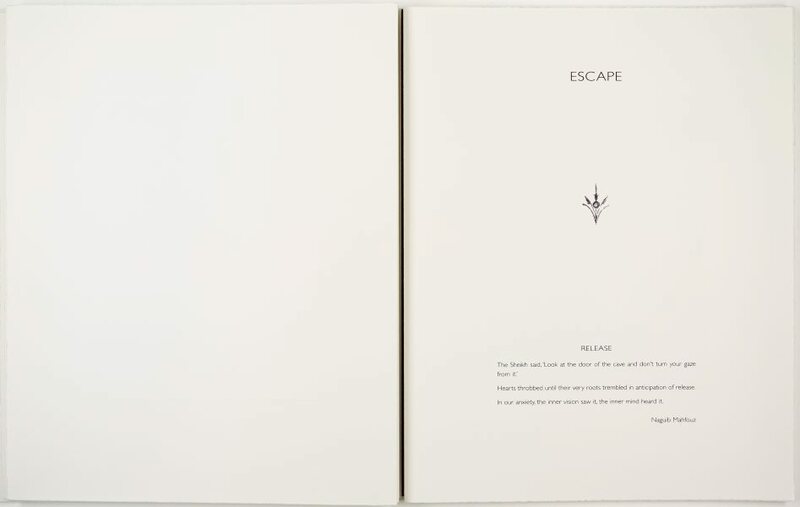 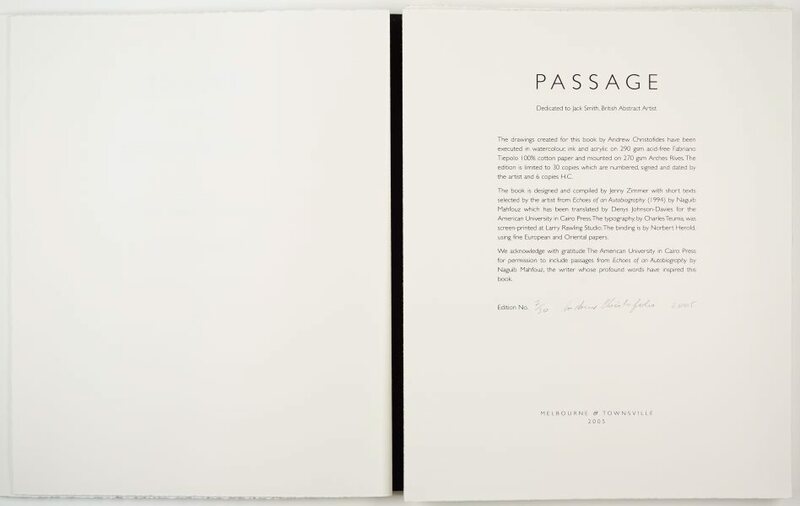 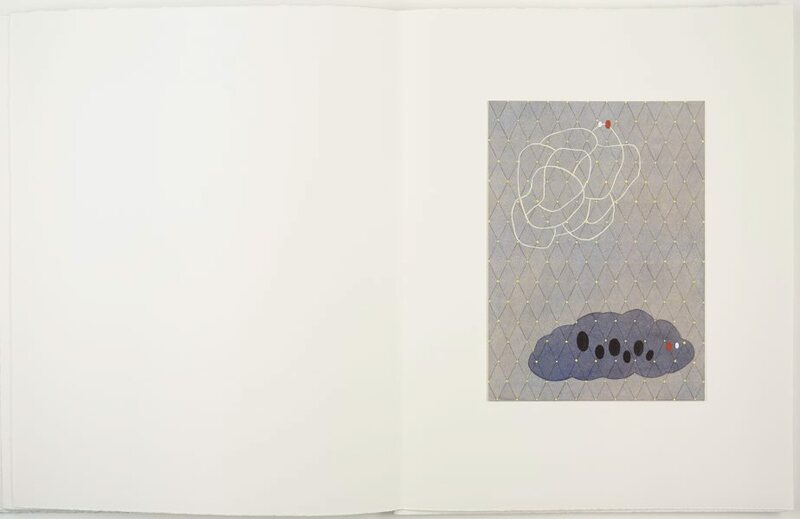 The artist’s book ‘Passage’ exemplifies this acceptance and encompasses an exquisitely rendered series of poetically allusive drawings. 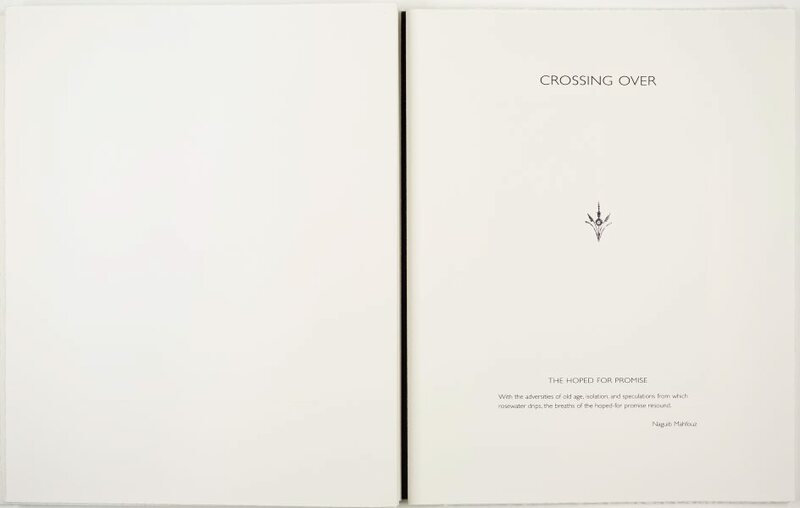 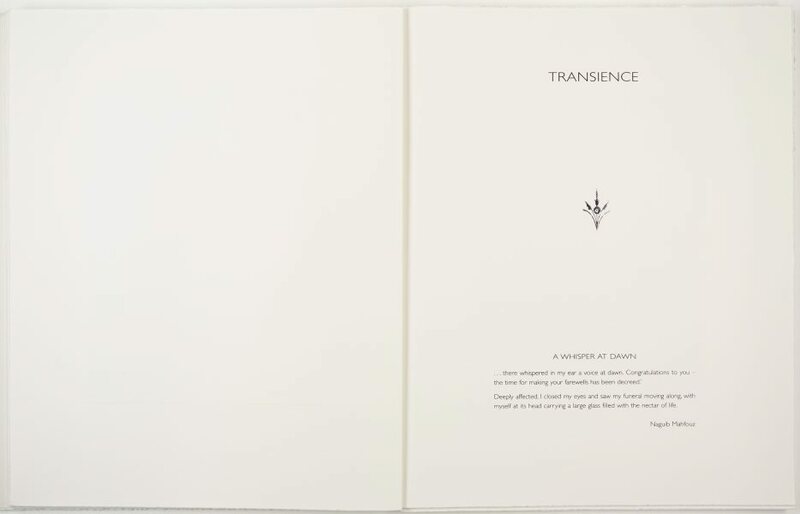 Designed and compiled by the important Melbourne producer of artist’s books, Jenny Zimmer, the book consists of ten folded pages, eight of which comprise philosophical texts selected as quotes by Christofides from Egyptian writer Naguib Mahfouz’ ‘Echoes of an autobiography’ - in order to trace the life of an individual from youth through to death. 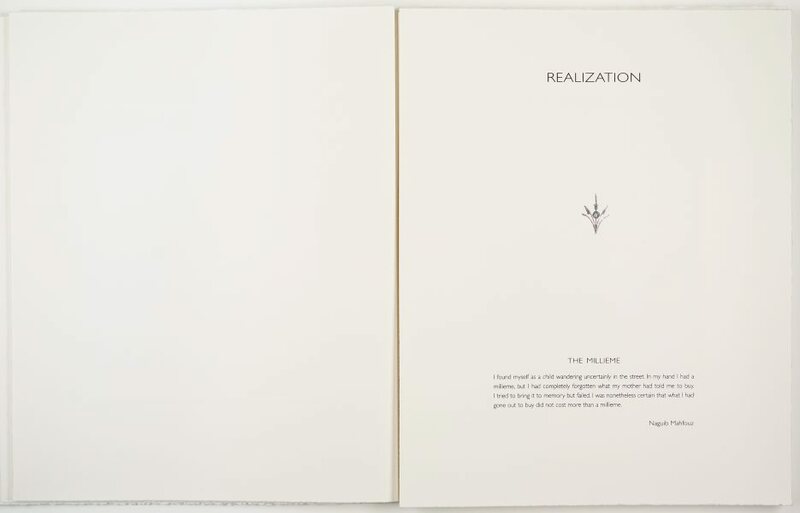 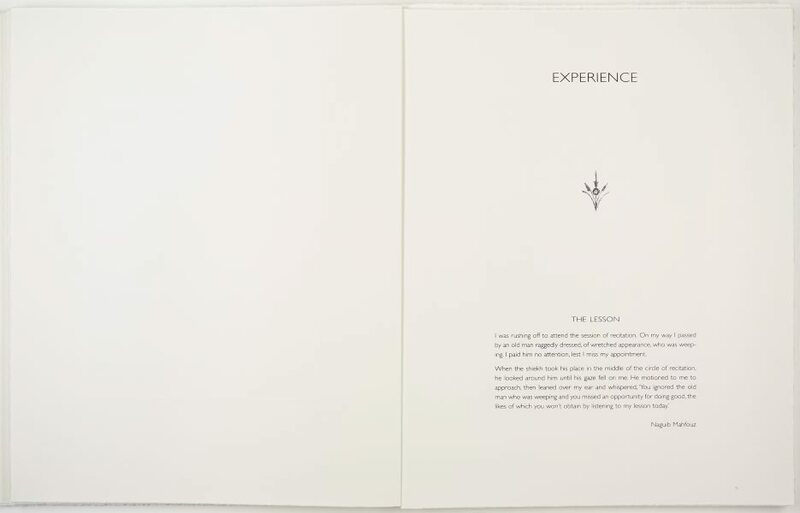 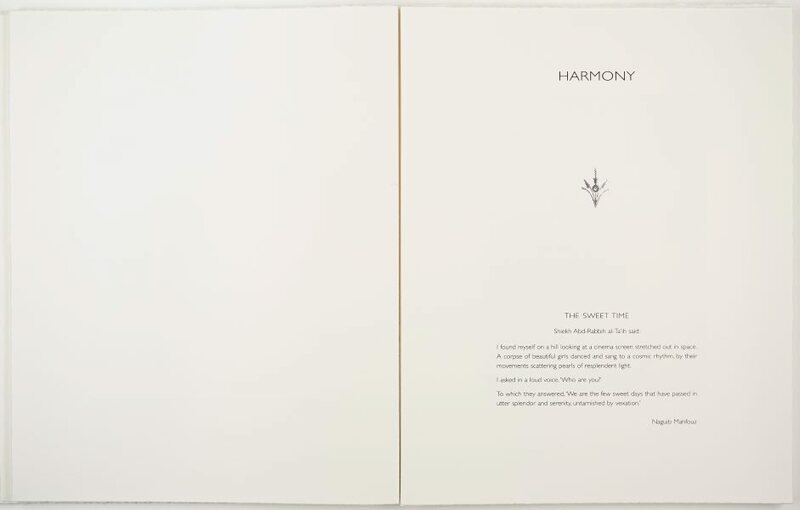 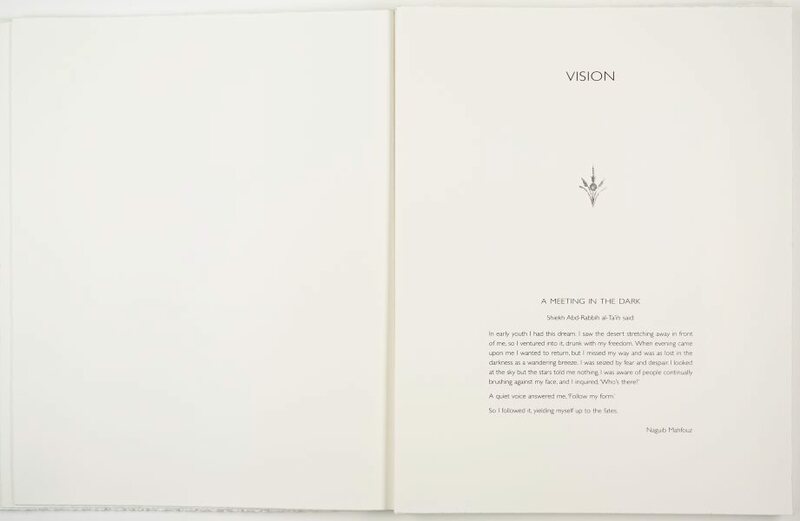 With such titles as ‘Vision’, ‘Realization’, ‘Harmony’, ‘Experience’ the text of each folded sheet opens to a drawing by Christofides, inspired by and arising from the philosopher’s words. 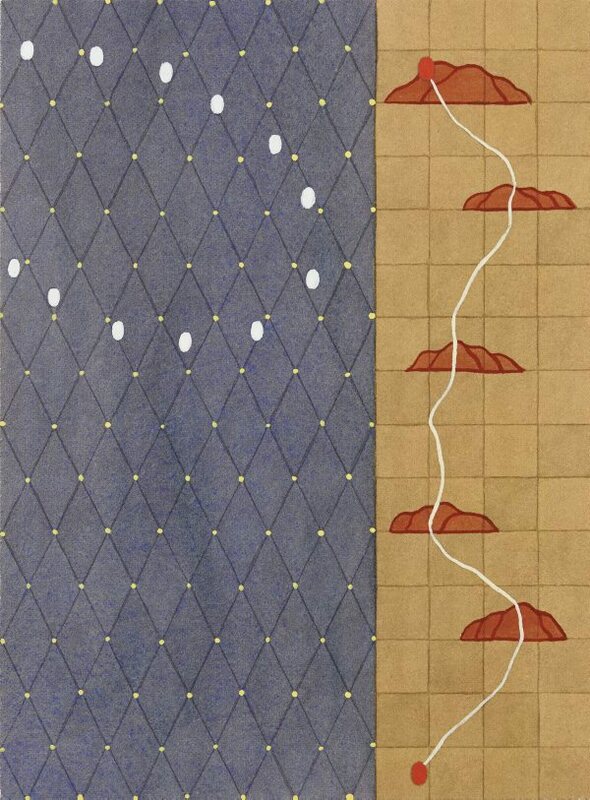 The drawings hold gesture and geometry in balance through a lyrical yet ordered disposition of meandering lines, mapping and landscape motifs, grids and random patterns of diamonds, squares and spots. 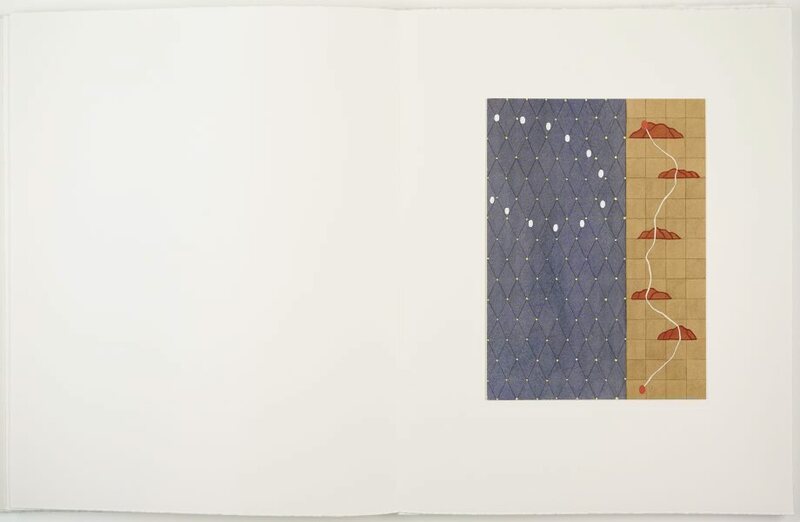 Christofides’ original idea had been to create the images as etchings or aquatints but following consultation with printmaker Michael Kempson, he realised that to achieve the detail and surface quality he had in mind, he would need to create individual drawings. 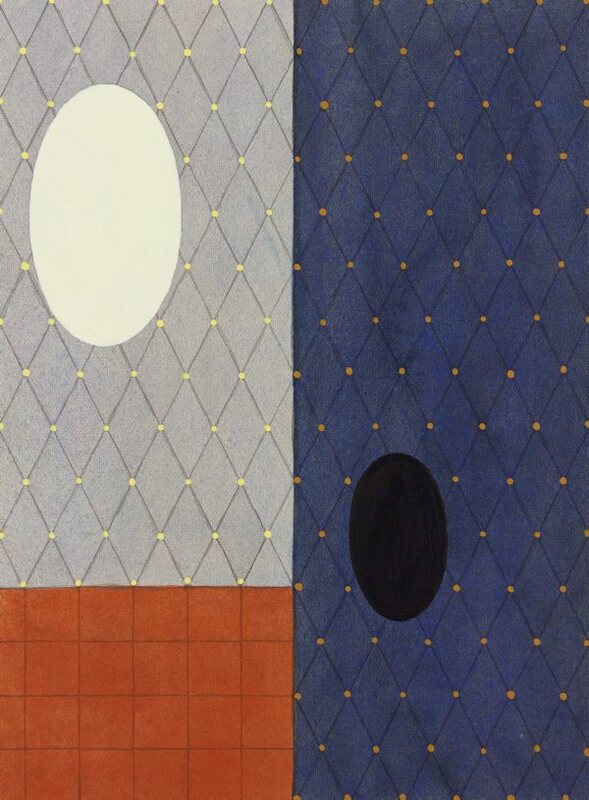 Christofides achieves the precise smooth surface finish of these watercolours through a methodical working process, in which thin layers of transparent watercolour, ink and acrylic paint have been meticulously applied to create a luminous effect. 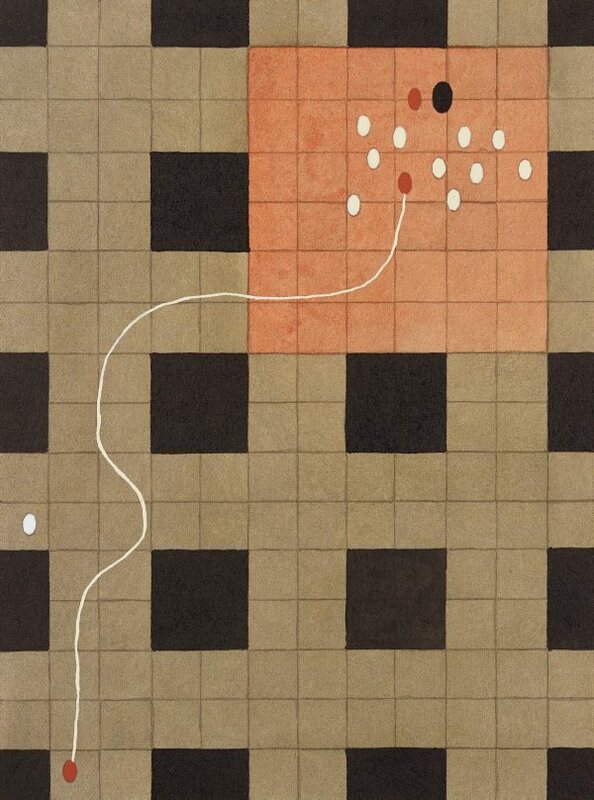 He paints and draws entirely freehand without the use of tape or ruled lines. 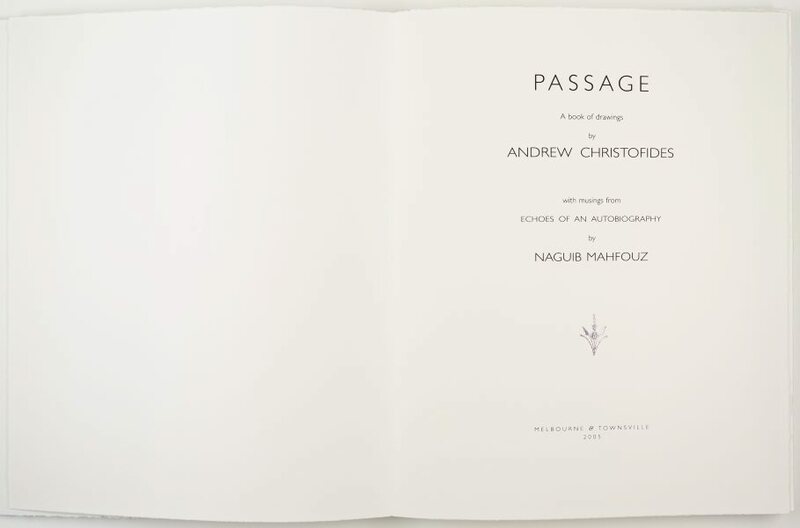 Signed and dated lower c. pencil, on book details page [part c] "Andrew Christofides 2005". 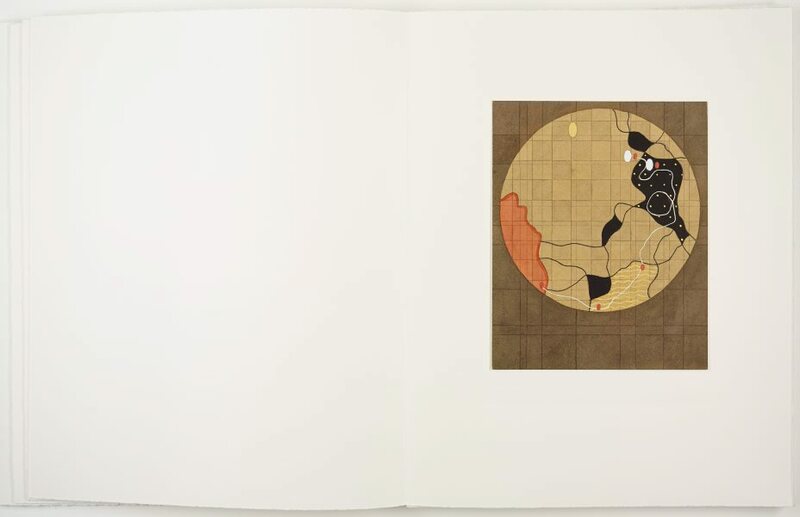 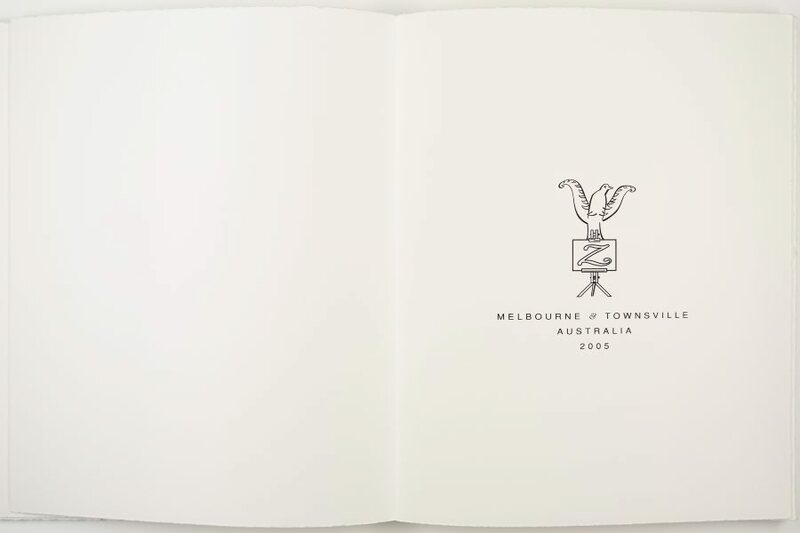 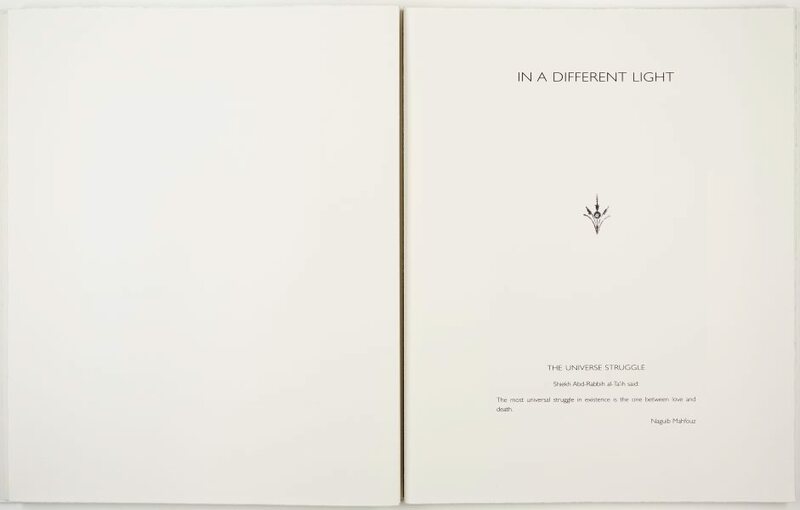 Nick Waterlow., Five x five , Introductory text 'Curator's notes', Sydney, 2007, 7 (colour illus. 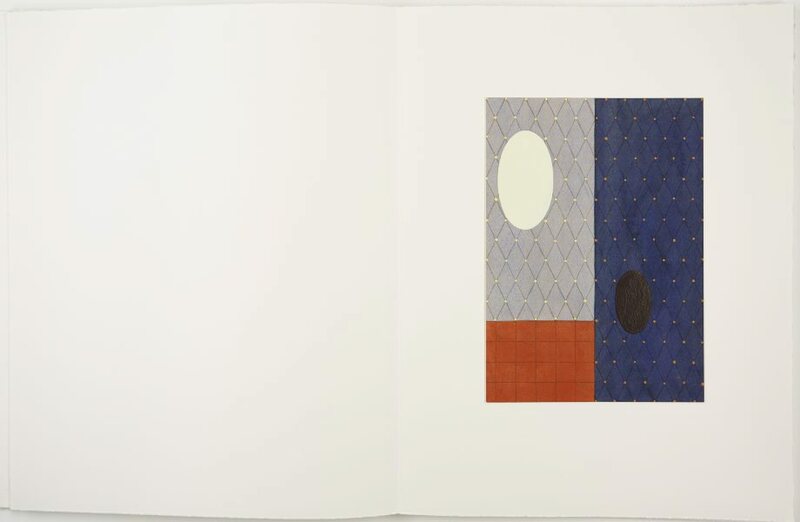 ), 11 (colour illus. 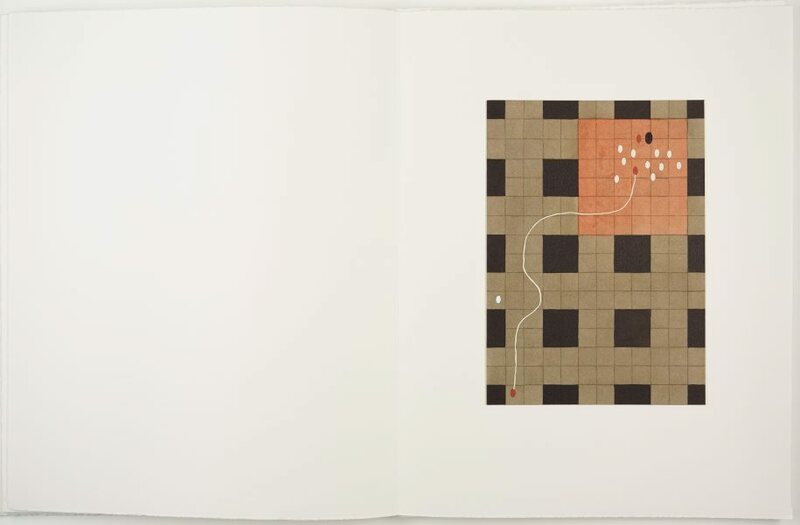 ), 22.